I'm getting into blender and am at the point now where I can model simple objects and do some rigging without too much trouble. Now I'm trying to figure out the best strategy to model an entire apartment, but am finding it much more difficult than just modeling a single object. First of all, the walls and ceiling are making it very difficult for me to look into my apartment. I can hide them, but it's hard arranging the furniture with them missing. What's the best way to create the furniture? I'm modeling the couch, chairs, potted plants and similar things in the same file so far, but having so many overlapping objects makes the editing difficult. Should I put these in separate files and reference them in? Should I move them to separate layers? Any good general tips for modeling rooms? Sometimes it's good to make some objects non-selectable, like the walls. Layer Manager is a great addon for managing objects if you have them on different layers. To look in side your room to place your objects you can "cut" your room. In the view port press AltB or from the 3D view header View > Clipping Border to make a selection of what will be visible. 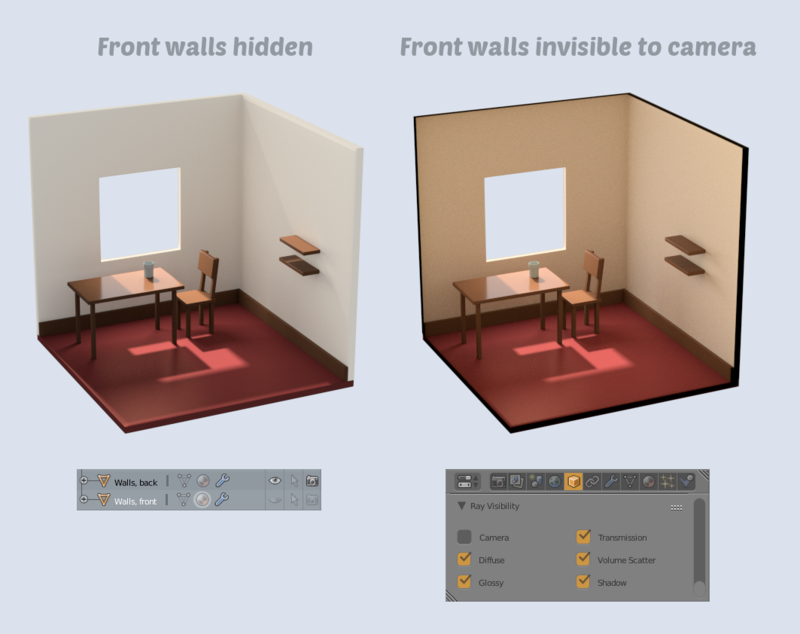 To use the clipping border go to side view and draw the box over you entire room, except for the front wall. Then when you look at your room from the front view you will be seeing in to your room. How to model medical cloth wrapping? 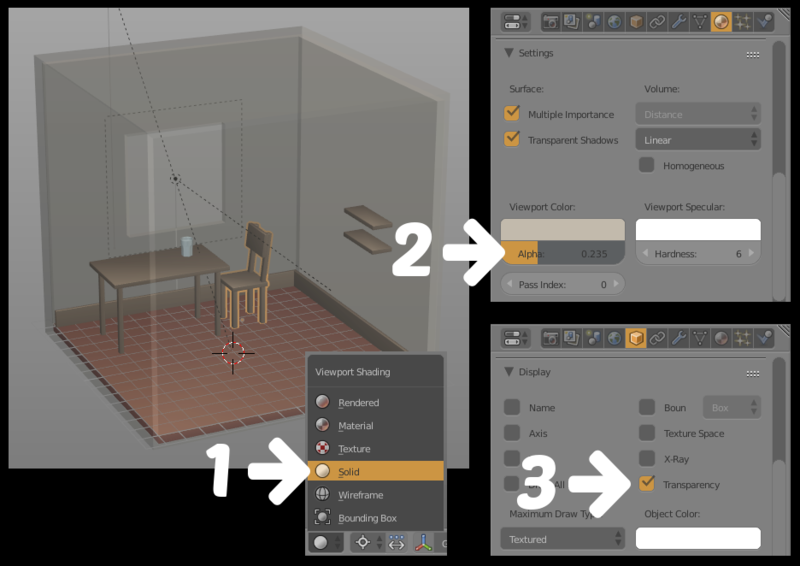 What's the point of making separate objects in one model? Is it bad practice to use overlapping meshes/objects?